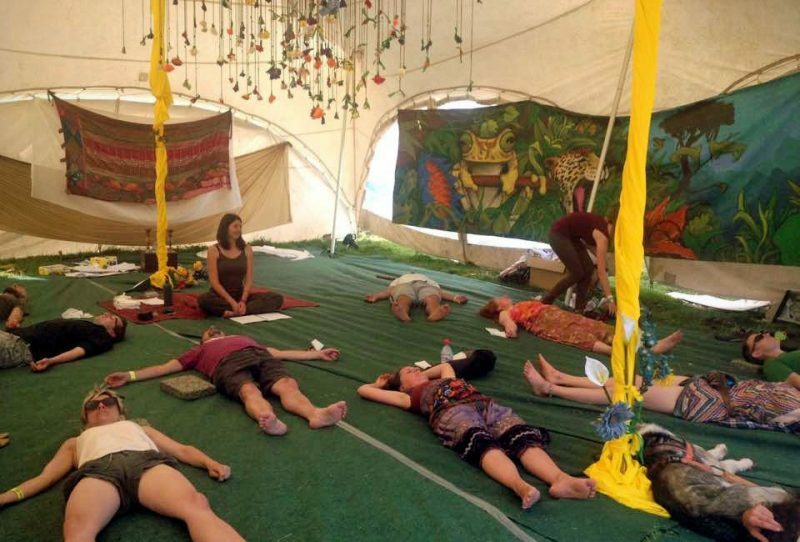 The festival celebrates life off grid and offers four days of talks, workshops and experiences led by experts in permaculture, food & land, eco building, renewable energy, community enterprise, creativity, as well as health & wellbeing. In the Holistic & Mindfulness-Based Yoga workshop we will experience yoga as a method to increase our awareness and regulate the nervous system. We will journey with our awareness through the body while practising yoga and learn to recognise what is happening in each moment. We will let go of judgemental thoughts and expectations, coordinate movement with the breath, pay attention to body sensations and, as a result, experience the state of being perfectly present in the here and now. This workshop will help you establish your own practice. The increased awareness you will develop on the mat is something that you can take home with you and practise by yourself. Soon you will respond to your daily life situations with more choice. 9:00 - 10:30 am, Saturday, 12th August 2017, Off Grid Festival, Biophilia Project, Goffin Land, Exeter EX4 9JL, Devon.